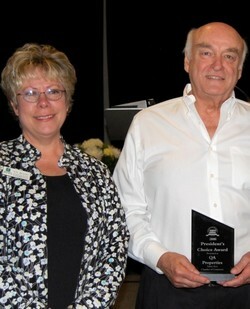 2013 Salem First Citizen, Distinguished Service Award. Recipient, City of Salem’s Spirit of Salem Award (2009). 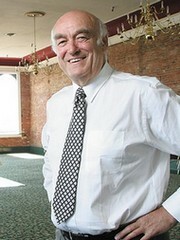 Recipient, President’s Choice Award, Business of the Year, Salem Area Chamber of Commerce (2008). Recipient, for Contributions to Art, Keizer Public Arts (2008). Silver Medal, American Advertising Federation (1998). Advertising Professional of the Year, Portland Advertising Federation. Mr. Yost and his staff received more than 120 awards for complete campaigns, art direction, copywriting, film direction, sales promotions, and cause-related marketing during a 32-year career with Jantzen Inc., the Oregon based apparel firm he served as Vice President of Advertising and Marketing and creative director of the company’s in-house advertising agency.